Last week our very own Greg Mazurek was interviewed on Real Estate Talk by Willie Lambright, a Dallas-based radio program. Greg shared his top ten tips for sellers who want their home to have more visibility. We thought we'd share some highlights from the list with you here on the ePropertySites blog. 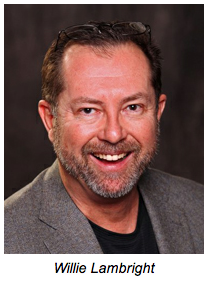 From CEO and founder of AgentMarketing.com, Greg Mazurek. With more than 90% of all home searches beginning online, it's incredibly important to have a website for your home that acts as a landing page for buyers to learn everything they need to know about the listing. Virtual tours can help buyers focus on the home's beautiful features and help a new listing stand out against competing homes that don't have as much visual information to share. Having a gorgeous virtual tour that no one sees won't do you any good! Include a compliant version in the MLS to inspire more showings. Ensure buyers will be able to learn more about your listing right from their phone by creating a text code. The buyers receives a text response with complete property details, and you receive their phone number in order to follow up. Allow buyers to scan a property-specific QR code and be taken straight to the mobile version of your property website. Don't run the risk a buyer will forget to look your home up on the computer when they get home; give them instant access when they're standing right in front of the property, and include the QR code on flyers or yard signs. YouTube is now the second-largest search engine in the world, so don't miss out on that web traffic! Turn your virtual tour into a YouTube video that will entice and impress prospective buyers. We all recognize the importance of posting your home for sale to sites like Craigslist and Zillow, but make sure when you do that you provide a link that draws the buyer away from the classified site (and away from the competition!) to the site you've created exclusively for your home. Posting to the big three, Facebook, Twitter, and Pinterest, will not only help your home get visibility among your netweorks of friends, but it provides an opportunity for people to share your home with their networks, increasing your visibility exponentially. Make sure you write a blog post about your listing, or use the plogging tool to create a beautiful property blog flyer. This will help you harness internet traffic from buyers looking for homes with features similar to yours. Signs, flyers, or biz-prop cards are a great opportunity to tie all of your marketing together. Adding the text code, QR code, or URL for your property website to the print material allows buyers to access your internet marketing wherever they are, even right from their smartphone! Thanks so much to Mike Bowman of C21 in Dallas for inviting Greg to share his words of wisdom, and thanks to Willie for hosting a great show! Thanks also to Vicki Parks, an agent on the call who was kind enough to share her experience using AgentMarketing. Make sure to share this information with your sellers- it's important that they understand how and why you will be marketing their home!